Four months after Uyghur academic Ilham Tohti was detained on separatism charges, his university has stopped paying his salary, leaving his wife and young sons little to survive on as they struggle to cope with his disappearance. The Central University for Nationalities economics professor’s wife Guzelnur and their two sons have been living under heavy surveillance at their apartment in Beijing since his January detention with no word from him or when he will be allowed to return home. Guzelnur said Friday that the family would now have to rely on her own “meager” salary of 3,000 yuan (U.S. $480) per month since the university gave her a notice that it had already stopped payment of his salary. “I was given a notice … saying that his salary from the university had stopped, as of April, they said. 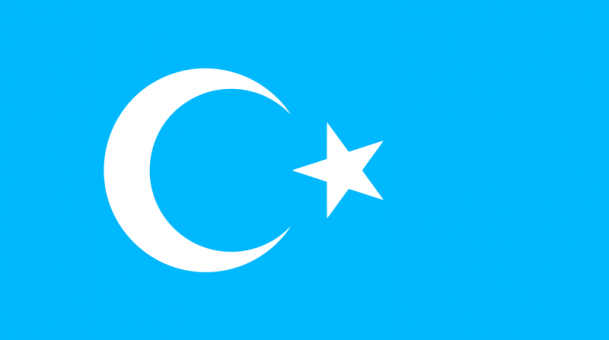 They had already stopped paying it,” Tohti’s wife Guzelnur told RFA’s Uyghur Service. “The university said … Ilham Tohti’s case has nothing to do with the university, that it is a personal matter, so they can’t bear any responsibility for it,” she said. Guzelnur said that she had spoken to her lawyer Li Fangping about the notice and planned to demand the university provide the benefits Tohti should receive for his more than 25 years of work at the institution. Guzelnur also said that security personnel have let up on the surveillance in recent days after she complained to them, but her sons are still suffering from the pressure the family is under, with one of them ill.
Tohti, who has spoken out for greater autonomy for the Xinjiang Uyghur Autonomous Region (XUAR), was dragged away from his home in Beijing by dozens of police on Jan. 15, and formally arrested on Feb. 20 on separatism charges. Uyghur human rights groups have said that Tohti’s detention is part of Beijing’s broad strategy to drown the voices of the minority Uyghurs and underscores its increasing hard-line stance on dissent surrounding Xinjiang, where Uyghurs say they have long suffered ethnic discrimination, oppressive religious controls, and continued poverty and joblessness. Guzelnur said there has been “no news” about his case and her family was struggling to cope with his absence and the lack of information. The older son has gotten sick because of the pressure, and her mother was staying with them to take care of him, she said. “My elder son is on a drip right now, and taking medication, because the psychological pressure is too much for him. The child is having problems with his heart,” she said. Guzelnur said she had complained to security personnel posted outside their apartment that their surveillance was too intrusive, and that since Tuesday, they were no longer stationed right outside her door. “I complained to them many times. I was very angry with them,” she said. “I haven’t seen them but we can still feel they are there,” she said. Reported by Qiao Long for RFA’s Mandarin Service and Mihray Abdilim for the Uyghur Service. Written in English by Luisetta Mudie and Rachel Vandenbrink.